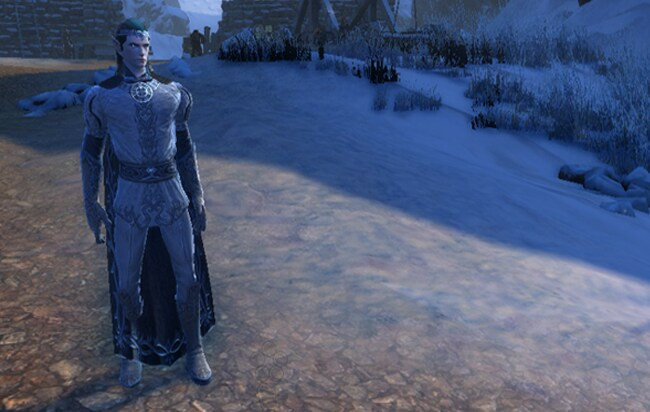 Winter has come one last time in Neverwinter before the heat rolls in. The frost giant Jarl Hrimnir has conjured an icy blizzard to shroud his army. Light the shrines of Moradin to fend off the blizzard while repelling the invasion with spell and blade! The frost giants shall not take Neverwinter for their own. If you are new to Call to Arms skirmish events, they’re are available for players of all levels (from 6-70)! Also, you are able to queue for these skirmishes at any time while the event is active. Speak with Garora Oakhew at the Event Dais in Protector’s Enclave for more information. Rimefire Golem: The secret of making Rimefire constructs has recently been revealed and now adventurers are gaining access to these powerful golems. As a green quality companion, the Rimefire Golem has a Max Rank of 25. The active bonus from the Rimefire Golem gives you 500 additional HP. In addition, we’re also selling the Rimefire Golem Bundle in the Zen Market in the exact same timeframe. The bundle comes with the Rimefire Golem, Companion Gear, 12 Codices of Companion Experience and 3 Lesser Bonding Runestones. Companion Gear – Equip your new companion with exclusive companion gear that can only be obtained from this pack. These unique items will strengthen your companion, making it more effective in combat. 12 Codices of Companion Experience – Don’t have time to let your companion level up to 35? These Codices are pulsing with arcane power and will instantly grant your summoned companion 35,500 Experience Points. Now you can level your companion in a matter of minutes! 3 Lesser Bonding Runestones – This Runestone grants your companions bonuses and additional stats. When your companion activates a power, it has a chance to grant you Companion’s Gift, which gives you 20% of your companion’s stats for 20 seconds. 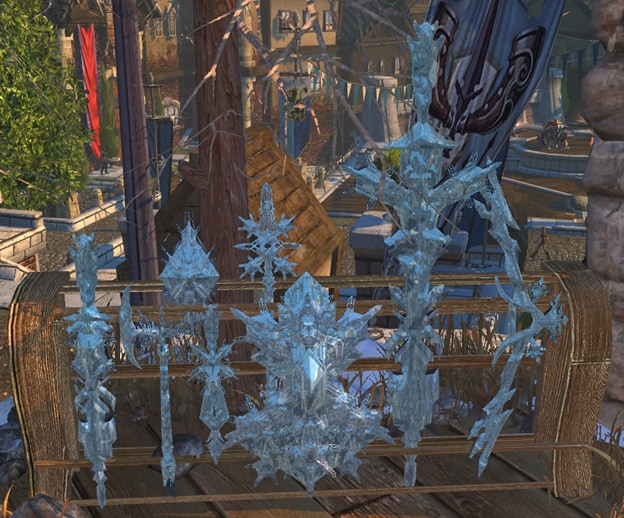 The Companion Bundle is the perfect item for experienced adventurers and those who are new to Neverwinter. Pick up the Rimefire Golem Companion Bundle today before it leaves the Zen Market forever! 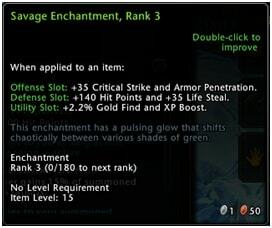 Savage Enchantment: Players will receive Rank 1 or 2 enchantments from slaying enemies and can receive up to a Rank 5 Savage Enchantment at the end of every Call to Arms skirmish! Chill Wind Dye Pack: Let it go and look cool with this new dye pack sure to make you the envy of the mountains. You’ll have no trouble blending into the snowy mountains of the north! 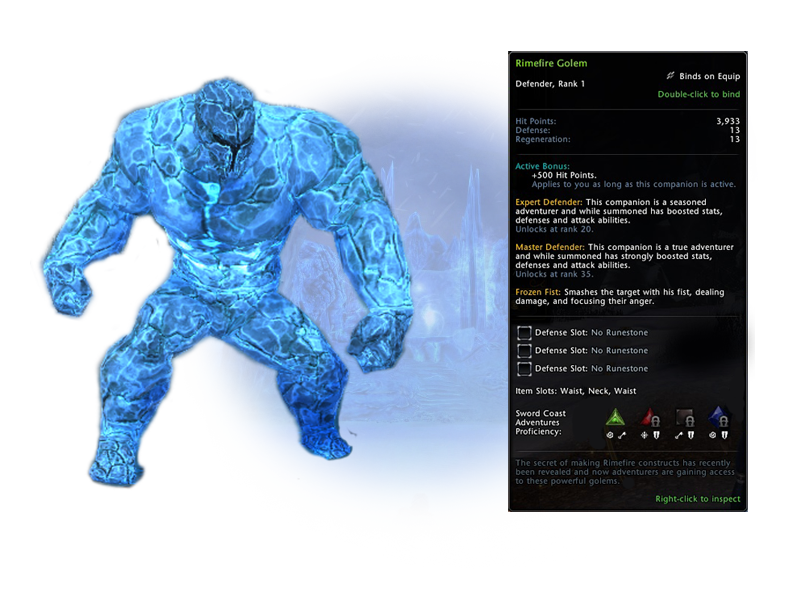 Glacial Weapon Transmutation Items: As if you forged your weapons straight from a monstrous glacier, your weapons can now take on an icy form with the Glacial Weapon Transmutation Items. Turn in the Medallions of Battle you receive from the Skirmish to Garora Oakhew to purchase these. Players can find a special dungeon in the Sword Coast Adventures on Gateway which they can access from their web or mobile browser. The dungeon features a fight with Frastr (a Frost Giant) and Medallions of Battle have a chance to drop from all challenges in the dungeon. Are you ready to protect the Forgotten Realms from Jarl Hrimnir’s army? Let us know on the official Neverwinter forums.